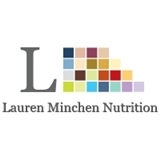 Lauren Minchen Nutrition (New York) - Book Appointment Online! At Lauren Minchen Nutrition, we are committed to offering you nutritional guidance, instruction, and support on your journey to optimum health and wellness. We are here to assist you in addressing: ~ Weight loss ~ Cardiovascular disease ~ Hypertension ~ High cholesterol ~ Diabetes ~ Anemia ~ Polycystic ovarian syndrome (PCOS) ~ Infertility ~ Menopause ~ Hormonal disorders ~ Digestive diseases ~ ADHD ~ Anxiety disorders ~ Autism ~ Substance abuse ~ Vegetarian/vegan nutrition ~ Sports nutrition ~ Pre- and post-natal nutrition ~ HIV/AIDS ~ General wellness at any age. No matter what your occupation is or what your lifestyle brings, we can help you achieve optimum health by developing a personalized plan that works for you. Our sessions include analysis of current meal and snack patterns, your activity level, any medical diagnoses, stress level, medication and supplement regimen, food allergies and sensitivities, food preferences, and of course your personal wellness goals. If you want to experience good health and begin taking the right steps to achieve lasting change, contact us to schedule a consultation.